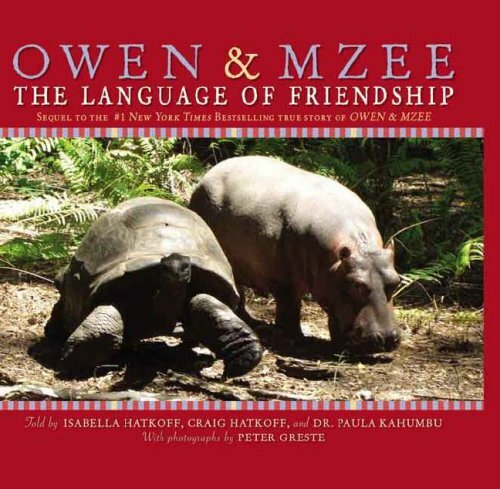 The Owen and Mzee books featured in this storytime are based on the true story of Owen the hippo and Mzee (pronounced "muh-ZAY") the grouchy old giant tortoise. The Indonesian tsunami of 2004 left many people and animals homeless and alone. When baby hippo Owen was found washed up on a beach. Many experts did not expect baby Owen to live without his hippo family. They took him to Haller Park in Kenya. There, Owen met and started following Mzee, a 130-year old giant tortoise. The two became inseparable; it seems Owen adopted Mzee as his surrogate mother. This story made major news headlines in 2005. They were featured on Oprah, NPR, the BBC, and the New York Times. I did the story in the library every year with Kindergarten and first grade, and the kids loved it every time. Since I left the elementary library a few years ago, even more Owen and Mzee books have been published, and I included them here as well. 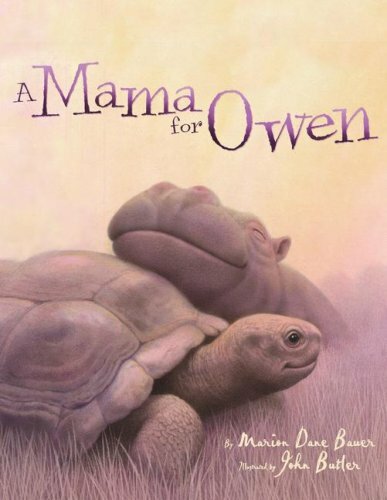 FICTION--I used A Mama for Owen by Marion Dane Bauer, but I have seen some complaints that it is too sad for little ones when the hippo mom gets swept away to sea, separating her from Owen. 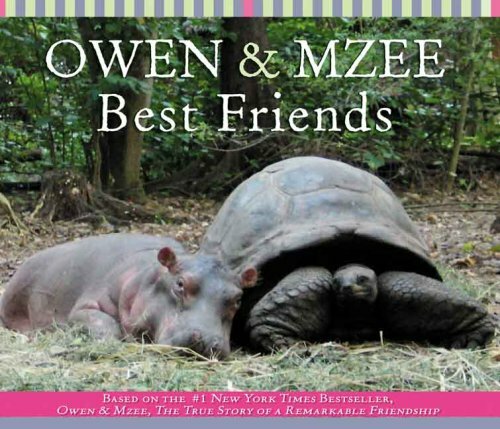 A newer title (that I have not seen or reviewed) is Owen and Mzee: A Little Story About Big Love by Michelle Glennon. 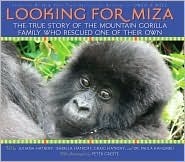 NONFICTION--I used one or two of several nonfiction books written about this remarkable story. I skimmed through them to get the story down in my own head (so I could answer the inevitable questions that are sure to come). For the students, I showed them the pictures of the real Owen and Mzee, where they live now, and how they are doing. We then read A Mama for Owen first so the students were familiar with the basic story. I then showed them selected photos from the nonfiction books, explaining more about the story through the photos and answering students' questions as they came up. We practiced our ASL signs for tortoise and hippo one more time before checkout. MULTIMEDIA: After checkout (or as time allows), I showed students the Owen and Mzee webpage. With its bright colors, gorgeous photos, and fun singalongs, the webpage has huge kid-appeal. I especially loved Owen's singalong "I'm a Baby Hippo," which could easily extend this lesson into the music classroom as well. In case you do not have The Language of Friendship in your library, this photo is a must for the kiddos. The people at Haller Park like to call it "Mzee's Secret." RELATED RESOURCES: I often used these to show more photos and just to expose students to other things. These would also make great display ideas, as would any books about tsunamis, Kenya, hippos, tortoises, animal rescue.